September 19th is Talk Like a Pirate Day, because why not? Read on for more wacky holidays and why they are worth celebrating! I love making the calendars too because it’s such a great way to relive the joys of the past year, and to feel like you’re being really productive while binge watching Friends on Netflix. The calendar my mom makes for me hangs in my office at work and it’s filled with pictures of my children. By all unbiased accounts, it’s adorable. There is also space on Shutterfly calendars to include pictures on important dates (birthday, anniversaries, holidays). How convenient! My mom puts family birthdays on my calendar, but also includes tons of random holidays because she’s like really fun. Plus I think she finds it entertaining that I might panic for a minute thinking I forgot a nephew’s birthday when instead it’s actually “Funny Hat Day.” Certainly makes those Mondays more interesting! You know who else is really good at celebrating wacky holidays? Preschool teachers. And that’s awesome. Every so often we’ll get an email from school saying that it’s Crazy Socks Day, or Pink Appreciation Day, or Pajama Day. That’s my favorite. I’ve never been to a school with a uniform, but when we get these emails about spirit weeks and random holidays, I totally see the uniform appeal. Taking that decision away from me? Great. Get those kids in pink and out the door! Plus the pictures that get sent home – adorable. This also serves as a reminder to be better about embracing my inner preschool teacher at home. My kids love a “special occasion,” because that usually means a treat after dinner. And they love “fancy dinner,” which means that I put place mats on the table… It takes such little effort to make a memory for a kid. And those memories become important to us as adults too. Why not embrace it beyond Taco Tuesday? 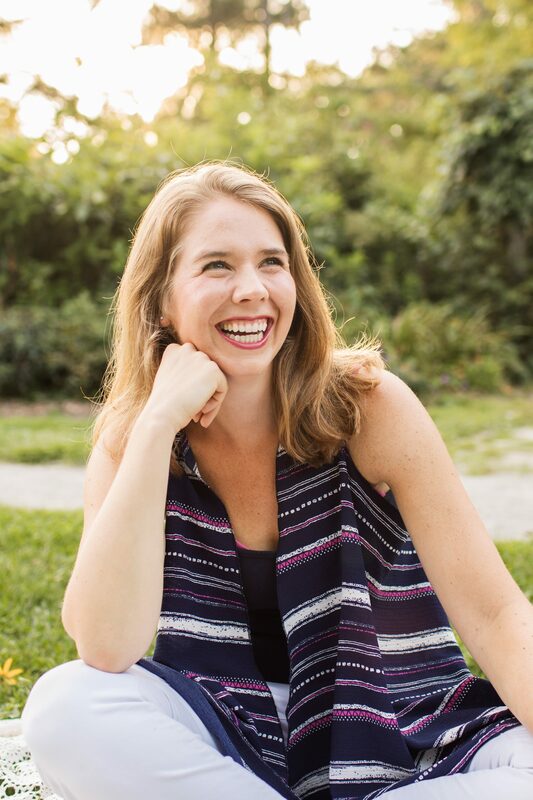 Glancing through my calendar in preparation for my preschool teacher ambitions, I found a few personal favorite wacky holidays. Some of them are easier to celebrate than others, but all give me a good chuckle. I’m REALLY pushing Festival of Sleep in our house. Some people kind of hate random holidays in general. There will always be that one person on Facebook causing a stink because “Wasn’t it just National Dog Day yesterday? ?” No, that was International Puppy Day. So let’s calm down and just find a dog to hug, k? And really, why shouldn’t we celebrate Siblings Day, Best Friends Day, National Juggling Day or Something on a Stick Day? Life is short, a little terrifying at times, and filled with reasons to be sad or angry or confused. They are important reasons too, and we should talk about them. But we should also take every last chance to celebrate that we can. 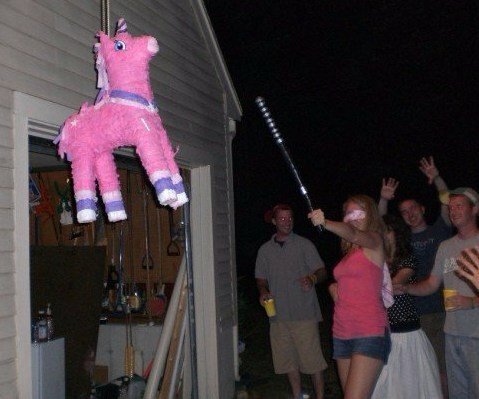 Actually you really should get a piñata if you haven’t done that in a while. I had one for my 22nd birthday and a decade later it remains one of my top 25 life memories. This one would work well for September 19th. You’re welcome. Follow this blog on Facebook or subscribe by email! Not to forget the ever popular “Sect that Worships the Left Hind Leg of Salamanders Day”! If memory serves, the traditional way to celebrate that one is the Hokey Pokey and and an Ice Cream Salamwich. Yay! Another closet sect member! We are strange in our beliefs, but we’re a tight knit group. Me too! I was hoping by calling that one out the rest of the world would get on board and none of us would have to do anything. I’m pretty excited about Lazy Day too! And I think you can totally build your husband’s tolerance. Start with Cake Day and Chocolate Covered Anything Day. Those feel universally acceptable. I, too, love celebrating random holidays! I also love the Christmas gift idea of a Shutterfly calendar! I may have to use that idea this year! My daughter worked with my mother-in-law to create a hand design calendar with an art project for each month and it is adorable and to this day it hangs in her room. You have inspired me to pay more attention to the random holidays that come up and to find unique ways to celebrate them with my children ! I do a calendar for the grandparents too. Actually remembered to include myself, to get a calendar, cuz dang it I really like them. I may have to put random holidays on theirs too! 😂 they’d be like… whaaaat? 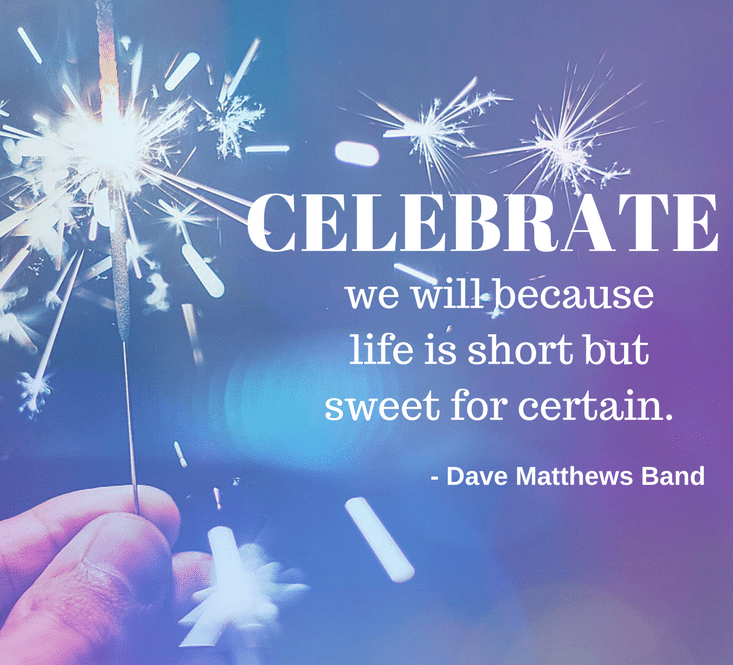 Celebrate good times, c’mon! Yes! Do it! Spread the awareness of Day of the Ninja and Spicy Guacamole Day. Lol this is very creative and fun ! Thanks for reading and sharing a laugh with me! Junk Food Day is on Friday. I suppose a holiday is a good enough reason to abandon the diet for a day, right? And then there’s Vanilla Ice Cream Day and Milk Chocolate Day this month. Mmm. Looking at the full list July is basically “YOLO” month. July really just wants us to be happy. Right?? I’d like to shake the hand of the person who gave chocolate fondue it’s own holiday. Brilliant. You make my blog seem so boring. I teach people good stuff…but THIS is a blog I want to read! Thanks so much for reading and I’m glad you enjoyed my little nonsense corner of the internet! I’ll be sure to check out yours too.